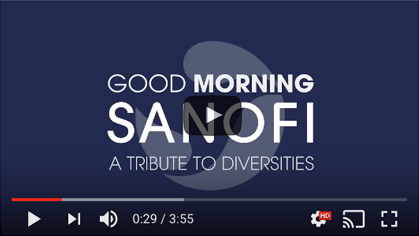 Sanofi, in the U.S. and Canada, strives to create a diverse and inclusive work environment that empowers employees to drive their careers and be successful. As the field-based scientific lead serving as the comprehensive scientific/medical/managed care expert for the Sanofi, candidates within Medical Affairs will help build strong relationships and networks with healthcare decision makers, provide insights to internal teams on evidence gaps to help inform research and product strategy, and identifies/facilitates outcomes research, education, and other collaborations per applicable Standard Operating Procedures (SOPs). The position supports strategic and cross functional alignment within the organization in order to optimize patient access and ensure safe and appropriate use of Sanofi therapies. Comprehensive coverage including medical, dental, vision, and health and wellness programs. Employer matching because Sanofi invests in their employees! Sanofi is eager to further your development and expertise in an ever challenging environment. Sanofi understands the importance of family. We offer a variety of support including maternity/paternity leave. Enjoy 3 weeks’ vacation and paid holidays, including company shutdown at the end of every year! Importance of life outside of the office is valued at Sanofi. Note: This role covers the West Region, which includes states West of the Mississippi River. The Medical Science Liaison (MSL) Manager is mandated to align and execute to the strategy and tactical plan for engagement with the scientific community and oversee the effective and efficient functioning of individual MSLs and the MSL team. excellence in execution of their role towards achieving strategic and tactical goals. - Ensure strong career pathways are established through development planning of team and oneself to ensure talent engagement and retention. - Understand and meet needs of product lifecycle management through resource deployment planning meeting customer engagement strategies. - Thinks strategically in the development and execution of tactical Medical Engagement Plans and MSL tools aligned with the Brand strategic focus. - Ensure that MSLs hold robust current scientific knowledge to facilitate the MSL timely, appropriate, balanced, scientific exchanges with key external experts. - Demonstrate the value of Sanofi medical and the value of Sanofi products through supporting strong MSL relationships with key external experts, including the identification of local data generation initiatives to support own company’s medical and commercial objectives and obligations, as well as stakeholder needs. - Transversely cooperate with internal stakeholders to support the generation and communication of scientific and medical insights to internal stakeholders. - Ensure excellence in execution of all governance processes and manage MSL resources and budgets. - Monitor MSLs’ execution of plans within their respective territories and with crucial KOLs via regular coaching sessions. Use the Field Coaching Report (FCR) and other feedback mechanisms to support skill development. - Monitor and focus MSL’s operational efficiencies to ensure correct balance towards external-facing activities. - Collaborate with MSL Head to select appropriate key performance indicators (KPIs) and monitor MSLs’ progress against KPIs. Inform the business of progress and coach/course correct team towards success. - Ensure all MSLs fulfill global and corporate training requirements and compliance towards applicable internal and external policies and regulations. - Identify and support opportunities for innovation and field excellence initiatives to differentiate Sanofi medical and help achieve and exceed department objectives Support the development of an action plan to close “gaps” in current organization. - Development plans of the MSL individual and team aligned to MSL competencies and proficiency of skill, knowledge and behaviour levels. - Monthly/quarterly reports of MSL performance (inclusive of insights gathered) benchmarked against set KPIs. - MSL Managers are expected to lead by example and model core company values creating a culture of accountability, performance recognition and teamwork. - Review, monitor, and analyze field insights concerning our company’s strategy, products, image, or competition. Responsible for operating the motor vehicle using safe driving practices, knowledge of and compliance with all company policies, and obeying all traffic laws. Ability to travel up to approximately 60%, across the territory. Area of specialization related to therapeutic area highly regarded. 2+ years of people-management experience strongly preferred. Through timely coaching, clear expectations and appropriate management of individuals, motivates and guide the team toward successful outcomes and attainment of department objectives. 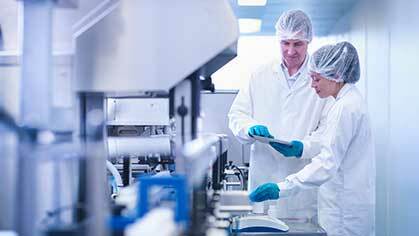 Deep understanding and knowledge of local regulations and codes of practice for pharmaceutical industry, in particular as they apply to the non-promotional activities of this role.